Think of this place as a Middle Eastern rip-off of Chipotle—a description that gets more apt with every location this mini-chain opens. Diners wait in line, choose between eating a sandwich, salad or “Mediterranean plate,” pick a protein (chicken, steak, falafel) and then smother the stuff in sauces. You can get crazy with that last act, bogging down your lunch with slaw, hummus, olives, aioli and the like. But for best results, we recommend keeping it simple (two or three toppings; one sauce), and ending with the surprisingly decent chocolate chip cookie. El stop: Brown, Purple (rush hrs) to Armitage. Bus: 8, 73. I love this place! 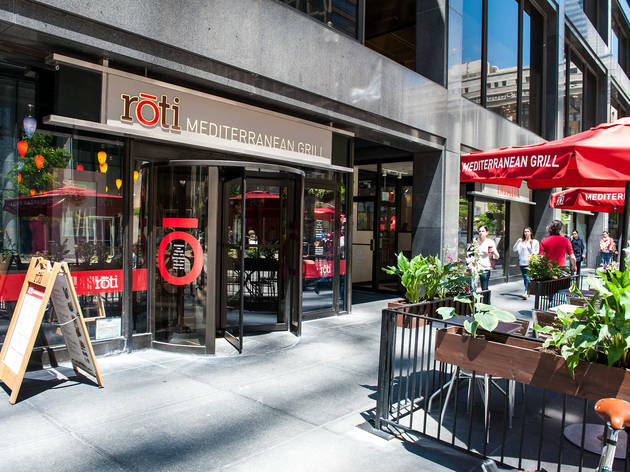 They offer a Chipotle-style offering of Mediterranean fare that is fresh and delectable. 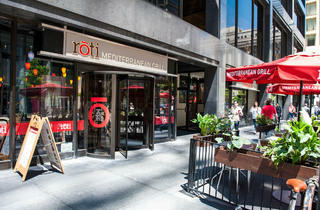 They offer a wide range of wraps, salads and sandwiches that are placed in pitas with unique choices. Casual dining has elevated food options and this is one that I can get on board with!